Will the Senate Now Exercise Its Authority? The Standing Committee on Ethics and Conflicts of Interest for Senators issued its report on the investigation into Senator Meredith on 2 May 2017. Essentially, the report argues that the Senate possesses the collective parliamentary privilege to expel its members, and it recommends that the Senate should expel Senator Meredith. The report having been adopted, the Senate as a whole will soon vote on whether to follow through on the recommendation and expel Meredith. The Senate also released a legal opinion by Law Clerk and Parliamentary Counsel Michel Patrice, dated 27 March 2017, which corroborates — virtually identically — the argument that I outlined in “Collective Parliamentary Privilege Includes the Expulsion of Members of Parliament,” from 14 March 2017. Parliamentary privilege applies both to a chamber collectively and to members individually. Ultimately, the individual member’s privilege derives from, and is therefore subordinate to, the collective privilege of the chamber in which he sits. Undoubtedly, one of a legislative body’s collective privileges is the discipline or expulsion of its members. The authority to discipline and expel members is necessary for any properly constituted legislative body. Therefore, the Senate possesses the authority to discipline and expel its members by virtue of its collective parliamentary privilege as a legislative body. Therefore, both the Canadian House of Commons and the Senate of Canada possess the collective parliamentary privilege to expel their members. It is simple, logical, and incontrovertible. The Senate of Canada does NOT derive its parliamentary privilege from the House of Lords, so any argument invoking the House of Lord can be immediately dismissed as incorrect, irrelevant, and ill-informed. The Framers very deliberately used the British House of Commons as the baseline for the parliamentary privilege of BOTH the Canadian House of Commons AND the Senate of Canada, probably because, in a Doctrine of Reception-like manner, a hereditary chamber, which at the time consisted of Lords spiritual and temporal and the Law Lords, did not apply to the requirements of an appointed chamber in a self-governing Crown colony. The Framers explicitly rejected the idea of establishing a Canadian aristocracy represented in a hereditary chamber, so they thereby also rejected using the House of Lords as a reference in defining the privileges of the Canadian House of Commons and Senate as legislative bodies. No one disputes the fact that the Canadian House of Commons possesses the authority to expel its members; it has exercised this authority on four occasions since 1867. Yet some have denied the fact that the Senate also possesses this authority because they misapplied section 31 of the Constitution Act, 1867, which outlines the “disqualifications of Senators,” and misinterpreted it as an exhaustive list that supersedes the Senate’s authority to expel members for other reasons. It is not. Interestingly, those who deny the fact that the Senate possesses the authority to expel its members do not contend that the Senate cannot suspend its members. But where do they think that the Senate’s authority to suspend members comes from? After all, suspension is not mentioned directly in the Constitution Act, 1867. The authority to discipline members includes both suspension and expulsion, and they flow from the same sources: section 18 of the Constitution Act, 1867 and section 4 of the Parliament of Canada Act. The Standing Committee’s report confirms as much. Disqualification and expulsion are distinct. Disqualification under section 31 is obligatory and automatic; it mere requires that the Senate issue a pro forma acknowledgement that the conditions under section 31 have been met. In contrast, expulsion is discretionary, and the Senate would have to judge each individual case on its own merits in accordance with its own rules. The list of grounds for disqualification are not exhaustive with respect to expulsion. We shall soon see if the Senate as a whole follows the committee’s recommendation and exercises its authority to expel its members for the first time. If it does, then Meredith will cease to be a Senator, and his seat will become vacant. Prime Minister Trudeau would therefore be free to nominate a new senator to replace him, in accordance with the new process under the Independent Advisory Board for Senate Appointments. 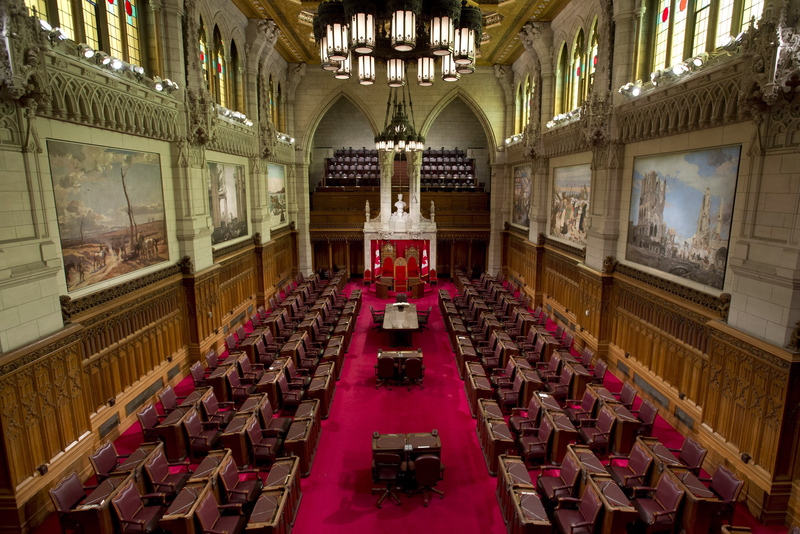 Canada, Senate, Standing Committee on Ethics and Conflicts of Interest for Senators, 42 Parliament, 1st Session, 2nd Report: Inquiry Report under the Ethics and Conflict of Interest Code for Senators concerning Senator Meredith (2 May 2017). Canada (House of Commons) v. Vaid  1 SCR 667, at para 29(2). House of Commons, Privilege in the Modern Context (Ottawa: Table Research Branch, June 1990), 2. House of Commons, Privilege in the Modern Context (Ottawa: Table Research Branch, June 1990), 11; Joseph Maignot, Parliamentary Privilege in Canada, 2nd Edition (Ottawa: House of Commons, 1997), 180. Canada, Senate, Standing Committee on Ethics and Conflicts of Interest for Senators, 42 Parliament, 1st Session, 2nd Report: Inquiry Report under the Ethics and Conflict of Interest Code for Senators concerning Senator Meredith (2 May 2017), at pages 3 and 7. Canada, Senate, Standing Committee on Ethics and Conflicts of Interest for Senators, 42 Parliament, 1st Session, 2nd Report: Inquiry Report under the Ethics and Conflict of Interest Code for Senators concerning Senator Meredith (2 May 2017), at page 3.